Serena Williams' first appearance in the San Francisco Bay Area in four years was short. Fifty-one minutes, to be exact. Johanna Konta of Great Britain demolished the sixth-seeded Williams 6-1, 6-0 on Tuesday night in the first round of the inaugural Mubadala Silicon Valley Classic at San Jose State. Konta won the last 12 games to even her career record against Williams at 1-1 in a matchup of former champions of the Bank of the West Classic at Stanford. Williams won 6-2, 6-3 in the quarterfinals of the 2017 Australian Open and went on to win the title, her last before going on maternity leave. Konta handed Williams the worst loss of her career, surpassing a 6-3, 6-0 drubbing by Simona Halep in the title match of the 2014 WTA Finals in Singapore. to be shocked about a loss that clearly wasn't when I was at my best." 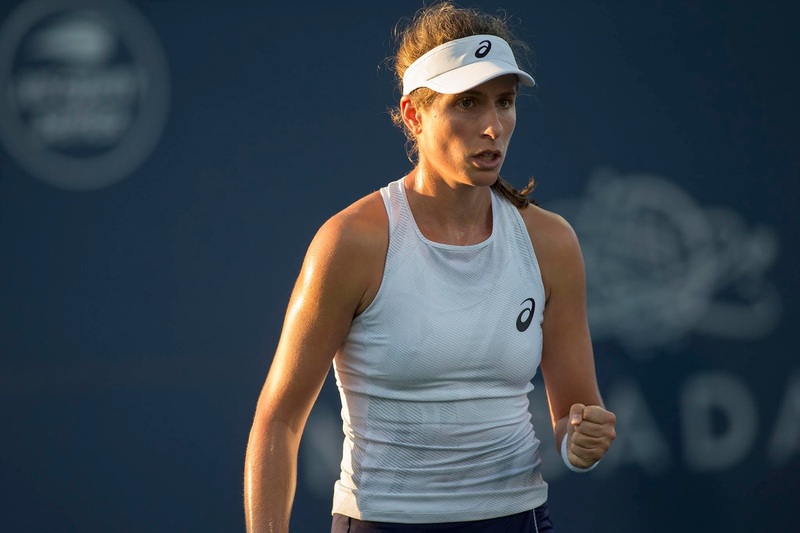 Konta and Williams were playing their first match since Wimbledon, where Williams lost in the final to Angelique Kerber and Konta fell in the second round to eventual quarterfinalist Dominika Cibulkova. Williams was trying to equal Margaret Court's record of 24 Grand Slam singles titles. "It's an absolute privilege to be on the same court as Serena," the 27-year-old Konta, who has slumped from a career-high No. 4 in July 2017 to No. 48, said in an on-court interview. "After all she's achieved, it's so humbling just to come up against her. "She obviously wasn't playing her best level -- nowhere near -- so I tried to play the match on my terms and just do what I can out here, put aside what an incredible champion she is, and just play the player on the day. I might have been better on the day, but it's still a humbling experience to be out there with her." Konta had 17 winners and nine errors, and converted 75 percent of her break-point opportunities. Williams finished with nine winners and 25 errors, and earned no break points. 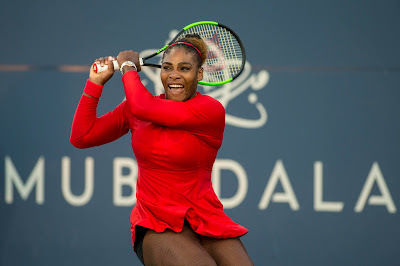 "She played better in this match than she has in about 18 months, so that's great for her," Williams, who will turn 37 on Sept. 26, told reporters. "I know I can play a zillion times better, but I have so many things on my mind, I don't have time to be shocked about a loss that clearly wasn't when I was at my best. I can only try to be there and fight, which is what I was doing out there. I moved a lot better, too, so I'll take the positives where I can." The man whom authorities said fatally shot Williams' older sister Yetunde Price in 2003 was released from prison earlier this year, re-arrested on Friday night after allegedly violating his parole and released around 1 a.m. Wednesday, People magazine reported. Williams won the Bank of the West Classic in 2011, 2012 and 2014. Konta earned the first of her three WTA titles two years ago at Stanford, beating Venus Williams in the final. Konta will face Sofia Kenin, a 19-year-old American, today not before 3 p.m. Kenin, who was born in Moscow and moved to the United States as a young child, is coming off the title in the $60,000 Berkeley Tennis Club Challenge two weeks ago. Another top U.S. prospect with Russian parents, 16-year-old Amanda Anisimova, beat China's Wang Qiang, who won her first WTA title last week in Nanchang, 6-2, 7-5. Anisimova, a qualifier playing in her first tournament after missing four months with a broken foot, will play fifth-seeded Mihaela Buzarnescu of Romania on Thursday. Vera Lapko, 19, of Belarus ousted seventh-seeded Zhang Shuai of China 7-6 (2), 6-0. Here are the Mubadala singles and doubles draws and today's schedule.